A Swiss-born, internationally published illustrator, Astrid and her beautiful wedding illustrations have been featured in publications such as The Knot, You and Your Wedding, and Marie Claire. 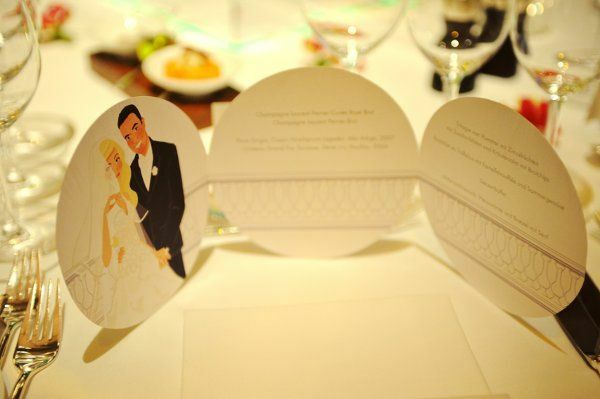 Enchanted by love and romance, Astrid created Astrid Mueller Exclusive, dedicated to helping couples express themselves through the design of an original, romantic artwork that not only sets their wedding day paperie apart but also provides a keepsake cherished for years to come. 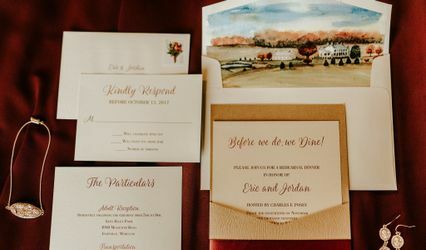 Astrid works closely with each couple, getting to know them and their love story which enables her to infuse character into an elegant illustration with a hint of retro and whimsy, making couple's love come alive. 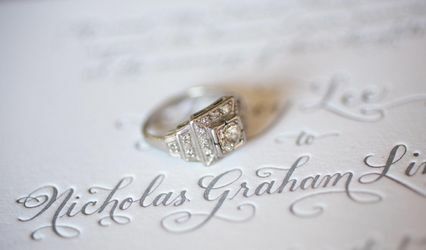 Her stylish, detailed approach gives each couple a look and concept exclusive to their wedding. 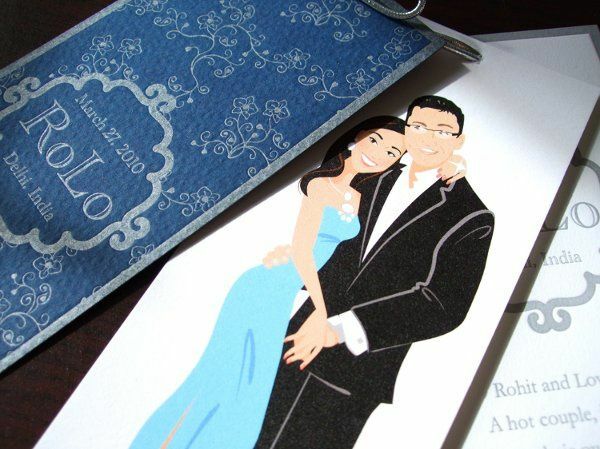 personalized wedding illustration and stationery design. 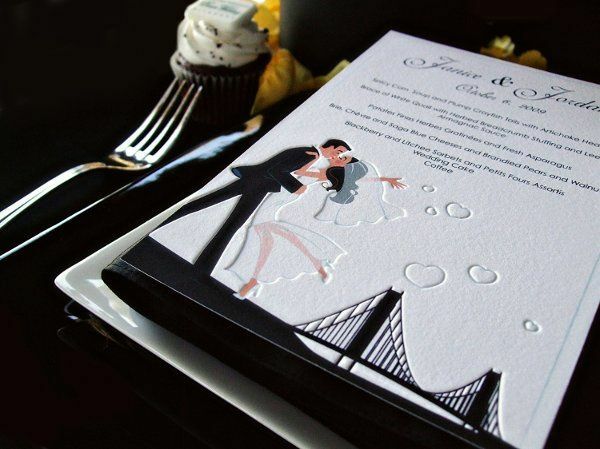 Shown here: wedding menu. Astrid is master of magical happenings. I brought a blank slate, an open mind and a few ideas. Astrid brought my vision to life in absolute techno-color. Our session started with a thoughtful phone conversation, a lot of email correspondence, and a really great piece. She helped turn my engagement party turned surprise wedding into a reality for everyone. People are still surprised. At first, I thought of only invitations. One page, illustrated, letter pressed. 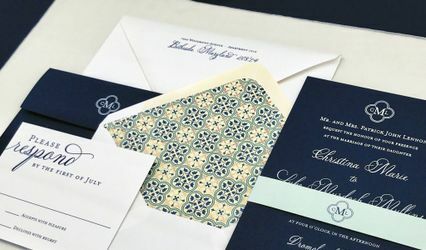 The job went so smoothly, I commissioned a few more things: place cards, personalized with my guest's names and our faces, thank you cards with our full profiles, letter pressed. Why stop there? I got the cake topper. 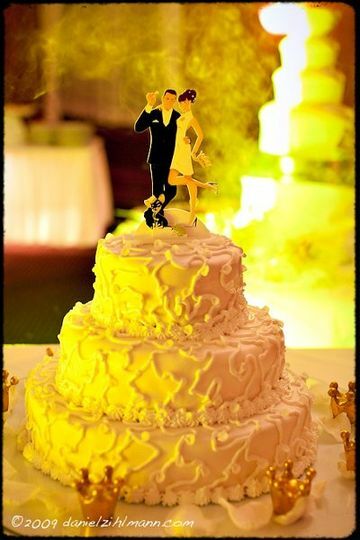 US, as a cake topper, done up in plexi-glass. Dazzling. All the guests took their place cards home, kept our invite (after realizing it was a likeness of my lace dress), and relished in my thank you cards, one page, simple. What I should be doing is writing one to Astrid to thank her for all she had done. The invites, place cards, thank you cards, and cake topper- all worked on, proofed and delivered at the timeline we had discussed. When you think something is beautiful on email, you will be absolutely blown away at the final product. The best part of everything? The experience. The friendship. The ability to turn Astrid's work and frame it into wall art. 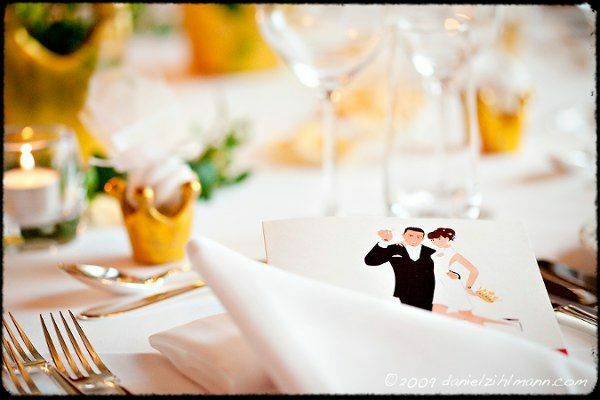 If you're looking for something special, something that will make your day from typical to amazing, then hire Astrid. My planning from start to finish was stress-free, planned out, organized and my day was perfect. People asked me how I could have pulled off doing what I did. Dream big and leave the details to the professionals like Miss Astrid Mueller. Be exclusive and don't be like everyone else!